Key difference: In terms of accounting, the primary difference between the two is that the journal acts at the initial mode of entry for all transactions. The entries are then classified and entered into the ledger. Together the journal and the ledger help create a double-entry bookkeeping record system. At first glance, it might seem like that both a journal and a ledger serve the same purpose, which makes it seem like it might a bit redundant to keep both. However, as it turns out, they are not really the same thing. In fact, each of them serves a different purpose, and both of them are important. Hence, it deems to ask the question, what exactly the difference is between them. In terms of accounting, the primary difference between the two is that the journal acts at the initial mode of entry for all transactions. The entries are then classified and entered into the ledger. 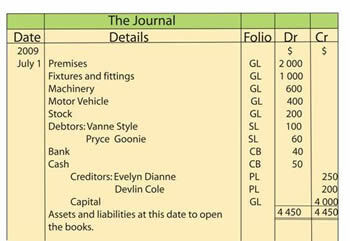 Together the journal and the ledger help create a double-entry bookkeeping record system. Hence, it can be said that both are equally important for effective bookkeeping. When the transaction first occurs, the entry is noted in the journal. The entries in the journal are then collated and categorized into five relevant accounting items that include expenses, assets, revenues, liabilities and capital. Once categorized, they are then entered into the corresponding section of the ledger. 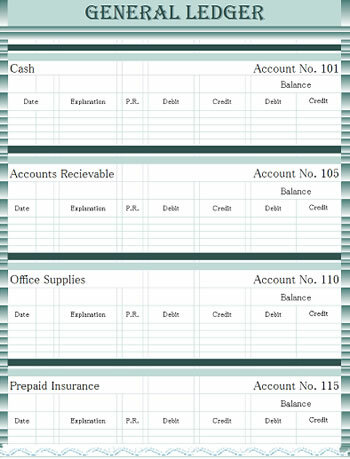 Each section of accounting item, such as expenses, assets, etc. has a two-columned, T-shaped table. One side is the debits, while the other is the credits. Within the ledger the transactions should ideally be balanced, i.e. both debit and credit entries should have a corresponding entry. In most ledgers, the debit entries are located on the left side of the T-shaped table, and credit entries are located on the right. Another difference between the two is that, in the journal the entries are noted according to the date of the transaction, whereas in the ledger the entries are actually noted according to category and type of transaction. The journal acts as a place to just note down the transactions so that they can be categorized and used later on, which would occur in the ledger. It can be said that the journal is the first draft, whereas the ledger is the refined second draft. However, it should be noted and due to rise in bookkeeping software, the use of journals and ledgers are decreasing. Today, the preference is to use computers and software which automate the task of bookkeeping, thus making this complicated task quite easier. Journal is a book of accounting where daily records of business transactions are first recorded in a chronological order i.e. in the order of dates. A ledger is an accounting book in which all similar transactions related to a particular person or thing are maintained in a summarized form. Primary book of accounting or the book of original/first entry. Principal book of accounting or the book of final entry. It is prepared out of transaction proofs such as vouchers, receipts, bills, etc. It is prepared with the help of a journal itself, therefore, it is the immediate step after recording a journal. In chronological order, i.e. in the order of purchase, selling, etc. Transactions are recorded in journal without considering their nature of classification. Transactions are recorded in ledger in classified form under respective heads of accounts. A journal is not balanced. Except nominal accounts all ledger accounts are balanced to find the net result. Procedure of recording in a journal is known as journalizing, which performed in the form of a Journal Entry. Procedure of recording in a ledger is known as posting. It may be subdivided into a cash book, a sales day book, sales return day book, purchases day book, purchases return day book, B/R Book, B/P Book, Petty Cash Book. It may be sub-divided into General ledger, debtors/sales ledger, creditors/purchases ledger. Good to know about the difference but however, as i can see that there are dissertation writing services that have explained all the process of journal writing well.